Panda Security has recently collaborated with Microsoft’s IT security campaign “Protect Your PC”. In this campaign Panda Security is giving out an exclusive gift for all the Windows users which is a 3-months FREE Panda Internet Security 2009 with no obligations. Enjoy truly global security with the new Panda Internet Security 2009. It protects you from viruses, spyware, rootkits, hackers, online fraud, identity theft and all other Internet threats. The anti-spam engine will keep your inbox free from junk mail while the Parental Control feature ensures your children can use the Web safely. And thanks to the new Collective Intelligence technology, the solution is now much faster than previous versions. That’s not it… the best part about Panda Internet Security is that it can be installed on 3 computers under one license copies. 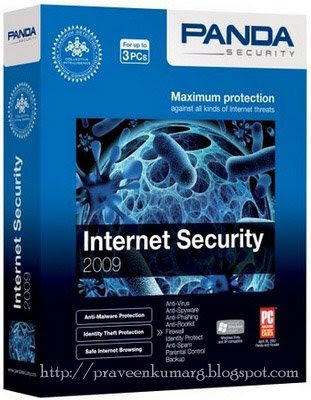 Download Panda Internet Security 2009 for FREE!